Here is work in progress, recently completed paintings and ideas for the future. Prices are shown if available for sale. If you have any comments, let me know using the 'contacts' feature at the foot of this homepage. On 1st December 2018, we opened LOVE DOVE STUDIO, our studio/gallery in Colchester Square, Lochgilphead. This gallery features our own work, but also work produced by Argyll artisans working in fabrics, glass and wood. See lovedovecottage.com. Gill has been concentrating on her artwork recently - well received at the 2018 Artmap Open Studios event. Contact lovedovecottage@gmail.com for more information, or visit Gill's website lovedovecottage.com. 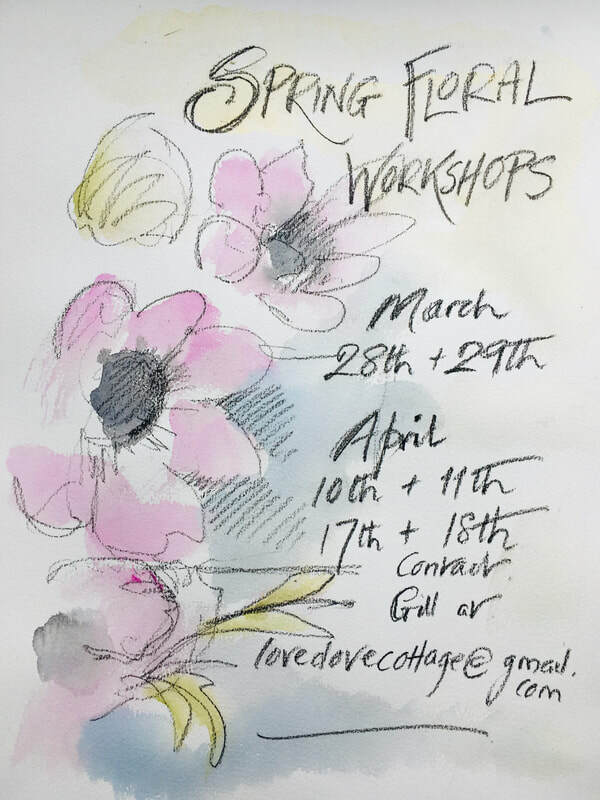 You will find more details at lovedovecottage.com about LOVE DOVE STUDIO, and Gill's flower and wreath-making workshops. OR CLICK ON THE BOOK COVER IMAGE TO ACCESS BOOKSHOP.